Forumla Drift liveries can be quite the challenge as it has to look cool and appeal to the Drifting community but also meet the needs of partners and sponsors who at the sharp end of the Top 16 are the same high level multi national companies you see in circuit racing. Despite a crazy build time line for the team, the end result is a car with typical Papadakis build quality full of clever ideas. This is no ordinary Corolla. If you want to see some more detail on the build, which this video from Speed Academy . I’m really pleased Rockstar wanted a cleaner livery. Hopefully, when time prevails, the darker yellow emitting from the Rockstar icon shown on the original artwork (above) will be added. The team had a crazy amount to do the past few weeks. One area I always concentrate on is the material finish. 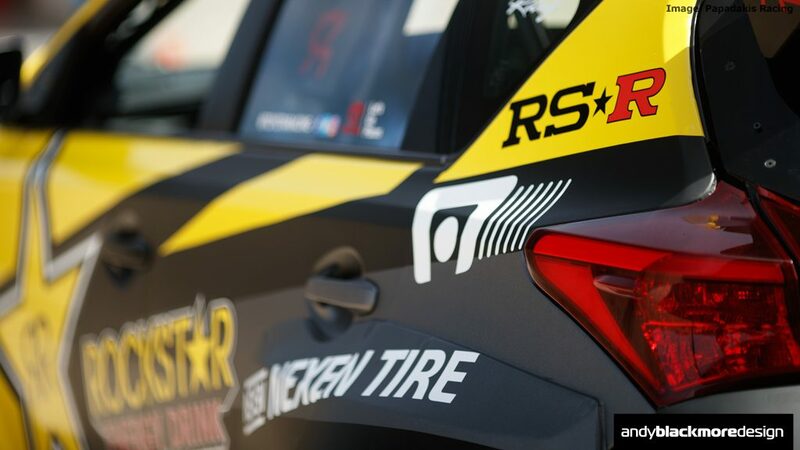 Liveries shouldn’t just be about color, so the base, as with all recent Papadakis vehicles (see Hankook Scion tC earlier) has a Satin Black finish with Satin Silver Graphite accents. This is mated with Gloss Yellow with the majority of logos in White or Black to give maximum contrast. The team also hired good friend of mine, DC Chavez to create an awesome launch video based off the iconic Initial D movie, thanks to the Corolla connection. Every scene was matched to the original. 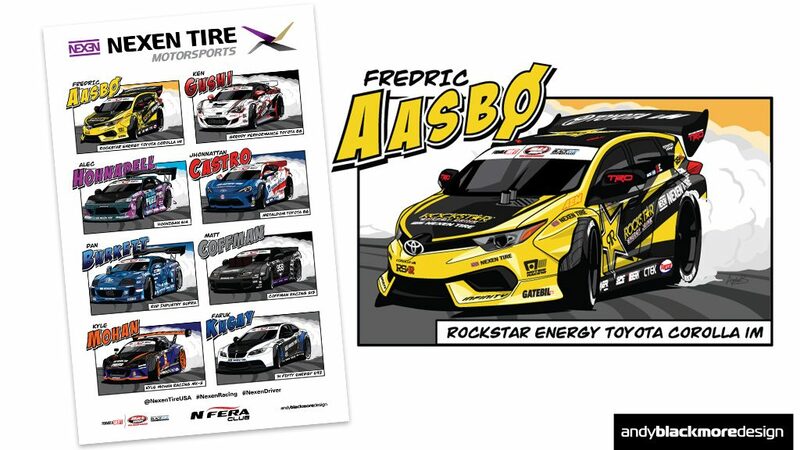 Finally, sister site, SpotterGuides.com will carry a Nexen Tire Spotter Guide from March 31st which features their runners, including the new Toyota iM in toon form. Great fun creating these. You can download them at SpotterGuides.com or pick up a copy in the Paddock at FD events during the season. 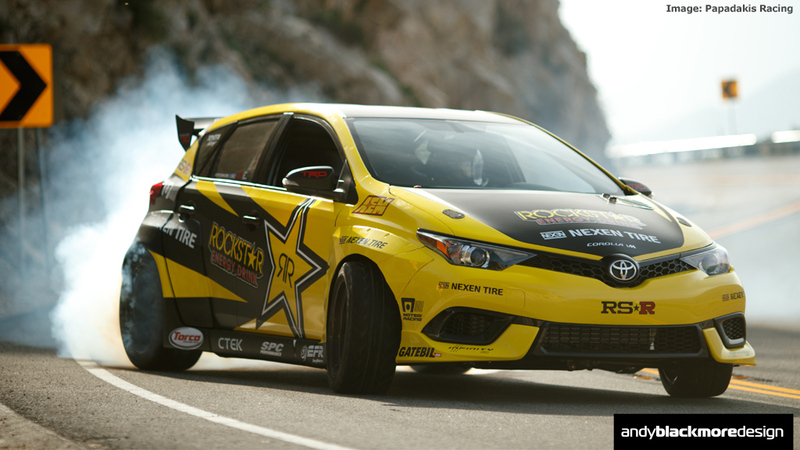 The Formula Drift season gets underway this weekend at Long Beach. 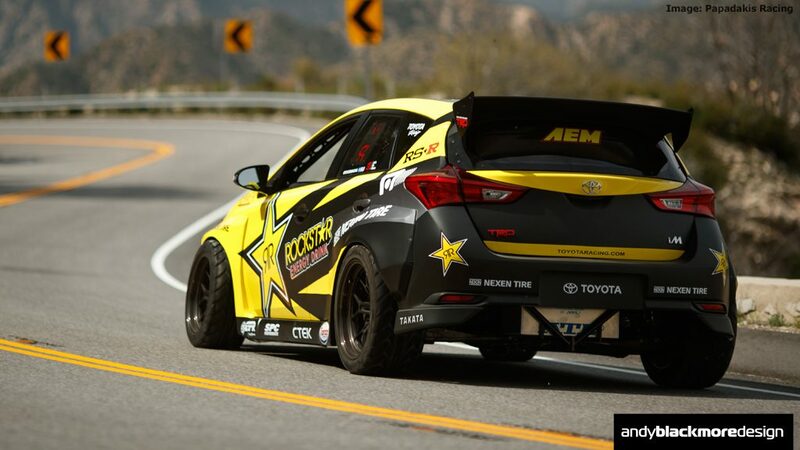 You can follow with online streaming at Formula Drift while the event will air on CBS Sports at a later date. 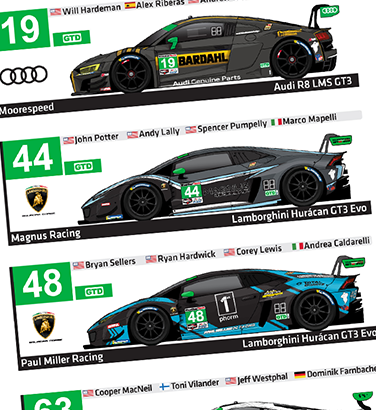 Thanks to Papadakis Racing for the opportunity to design this livery. Now time for a back-to-back championship! 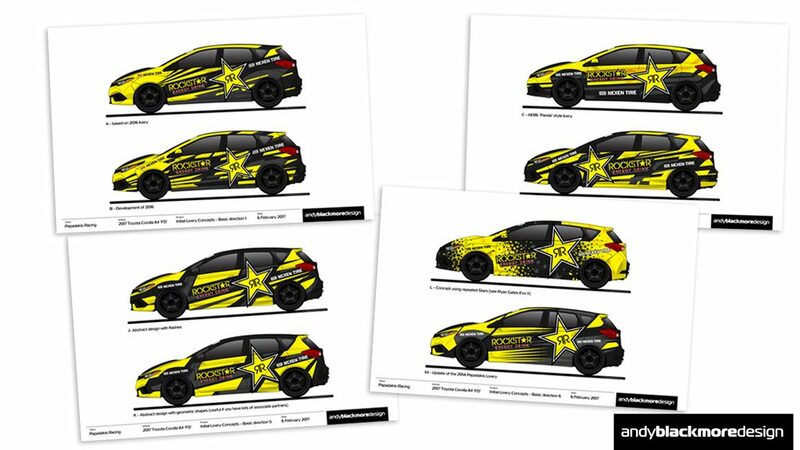 The vehicle was revealed Monday in a short online video titled Rockstar D, a live-action, shot-by-shot remake of the opening to the cult-favorite Initial D anime series. The Toyota Corolla last year celebrated its 50th anniversary of production and is a global best-seller. 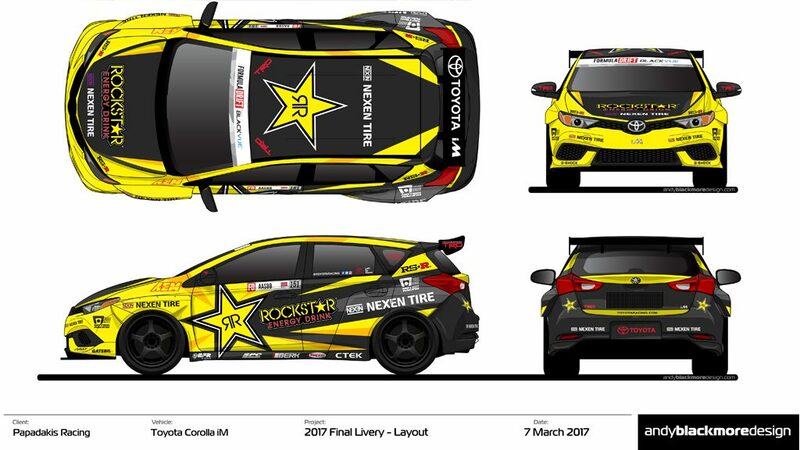 Fans will get their first chance to see the car in person at the Formula Drift opener Friday (March 31) and Saturday (April 1) in Long Beach, California. The #RockstarD video is a frame-by-frame tribute to Initial D created in co-operation with Bounty Content and Rockstar Energy Drink, produced by Jon Brewer and directed by DC Chavez. Initial D is distributed in the United States by Funimation.